Animals a great, and I love them all equally... but if these !?*&#*! back yard squirrels destroy one more birdfeeder -- furry grey heads are going to roll! 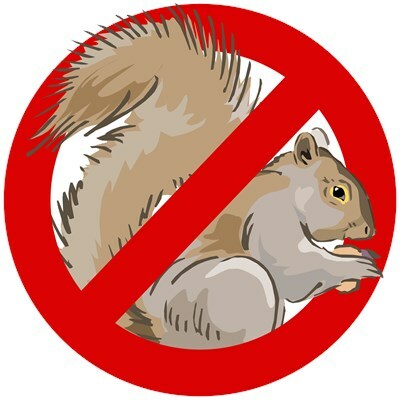 This anti-squirrel design is simply a drawn image of a common grey squirrel within a crossed out circle. This anti-squirrel design makes a fun, funny gift idea for backyard birders and anyone fighting the good squirrel fight. To order by phone, call toll-free at 1-877-809-1659 from Monday - Saturday 9:00am - 9:00pm EST. You'll need to note the Product Number 030-1319306779 to make your order.